Sammy | One Dog More! 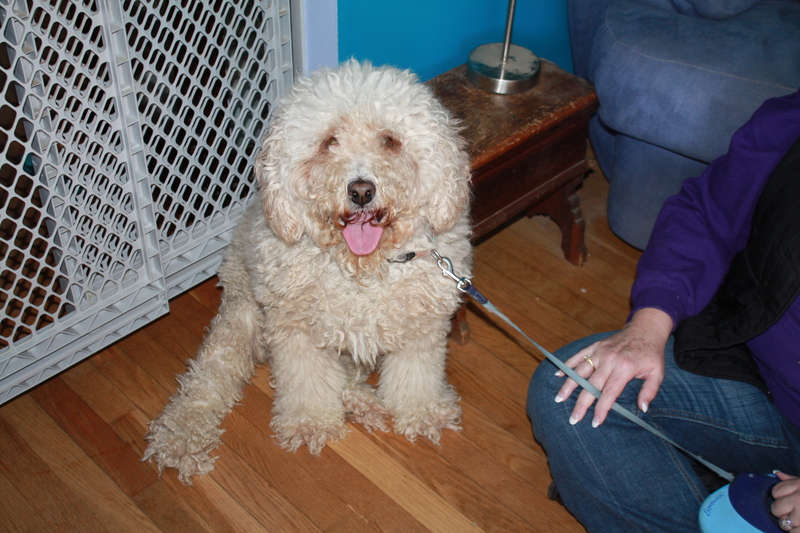 Sammy is a chubby 6 or 7 year old Cockapoo that was owner surrendered due to unforeseen circumstances. He is neutered and up to date on shots and HW tested. He is great with other dogs of all sizes and with cats. He loves having his belly rubbed. Sammy was pretty matted when we got him and we are working on getting him cleaned up. He is in a foster home in Salisbury, MD. This entry was posted in Adopted! and tagged Cockapoo, male by onedogmore. Bookmark the permalink. Wondering how Sammy ‘ s meet went. We are also interested in meeting him & seeing if he might be a good fit with us.